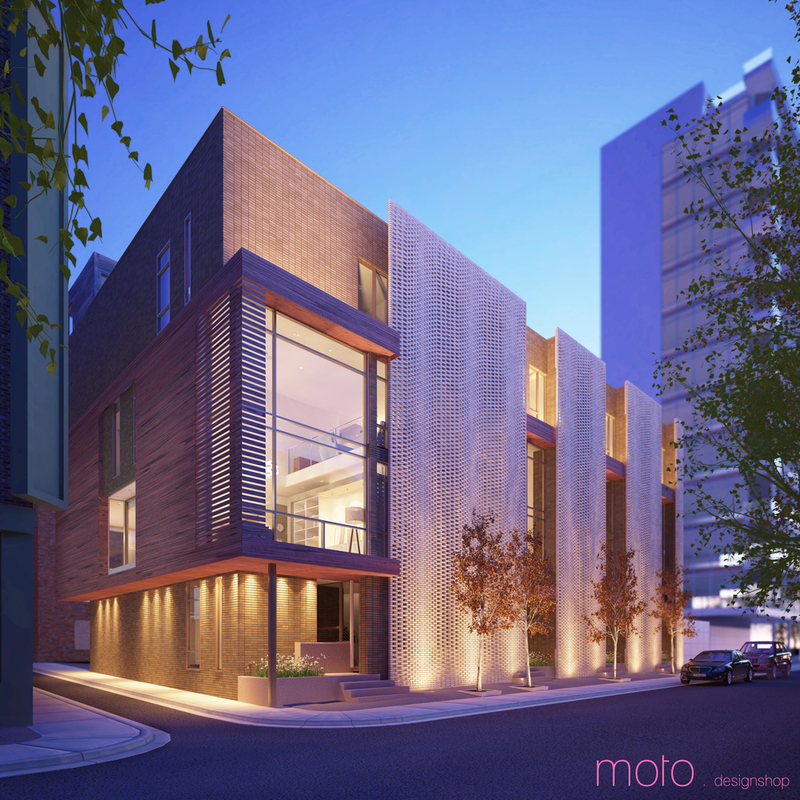 Three 5,500sf homes and one 6,000sf home now sit on a very unique site in the historically designated Society Hill neighborhood. To the east sits 101 Walnut, a twelve story contemporary white residential tower, while to the west sits Bookbinder’s, a 5 story Greek Revival building and one of Philadelphia’s most significant landmarked historic sites. 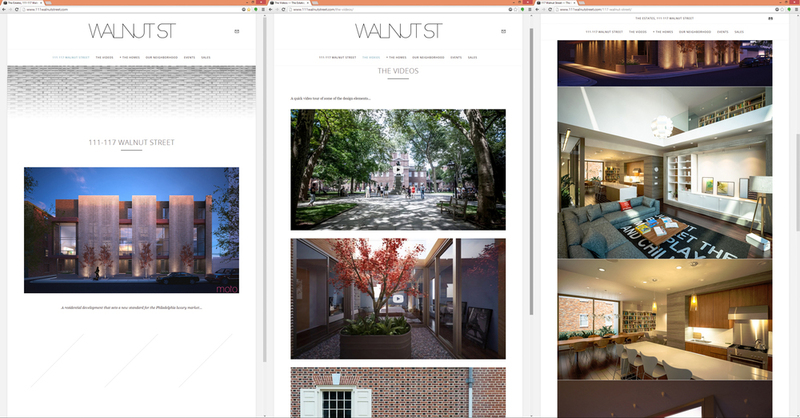 Between these two buildings, the Walnut St Estates mediates form, height, materiality and design concept. The project’s masonry and glass exterior is articulated by a delicate brick solar screen who’s proportions and color reference the contemporary influence to the east, while the underlying building form, height and mass of the project echo the scale and tonality of Bookbinders to the west. The home’s interior features walnut hardwood and limestone tile floors, walnut ceilings, custom millwork, and highly detailed stairs and railings. The 4/5 bedroom, 5 full and 2 half bath homes feature two car garage parking and in-law suite on the ground level with a classic piano nobile on the 2nd floor with a double height space in the front. A library and additional bedrooms sit on the 3rd floor while the master suite covers the entire 4th floor and circulates around an open sky garden. 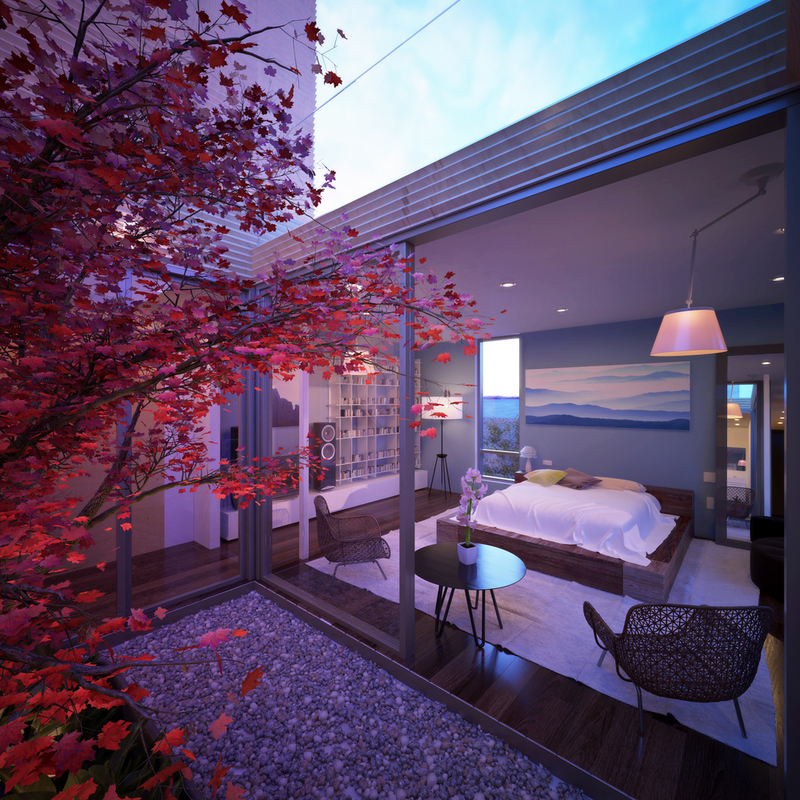 The roof lounge features two terraces and a second Poggenpohl kitchen making for an unparalleled entertaining space. 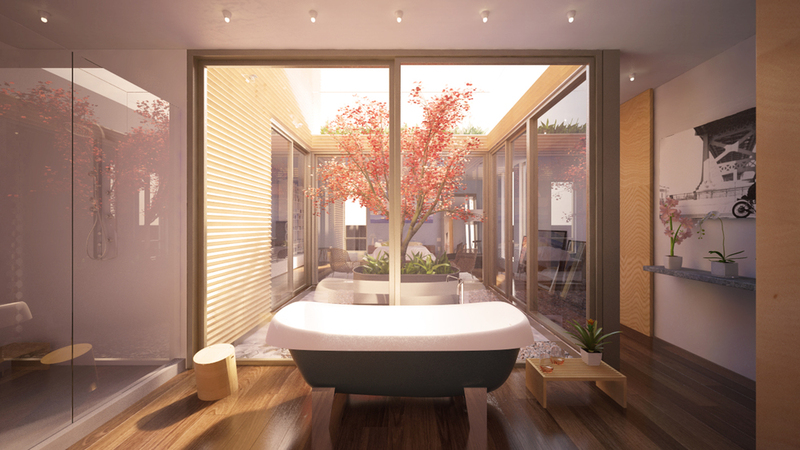 The Walnut Street Estates project redefined expectations in the luxury home market of Philadelphia and it’s amenities, details and concepts are imitated throughout the city. Moto provided all pre-sale print, interactive and video marketing collateral.